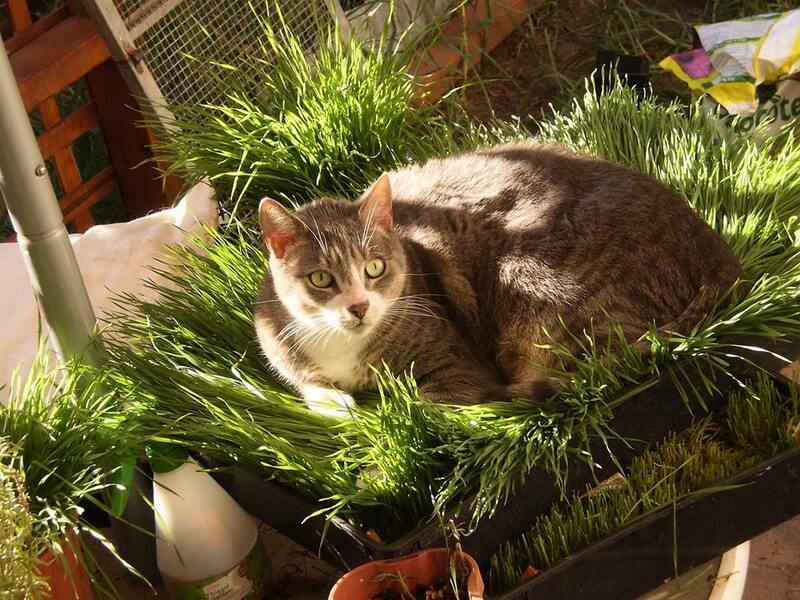 Above: One of the best Wheatgrass crops I had grown....until Tigger made a bed out of it. 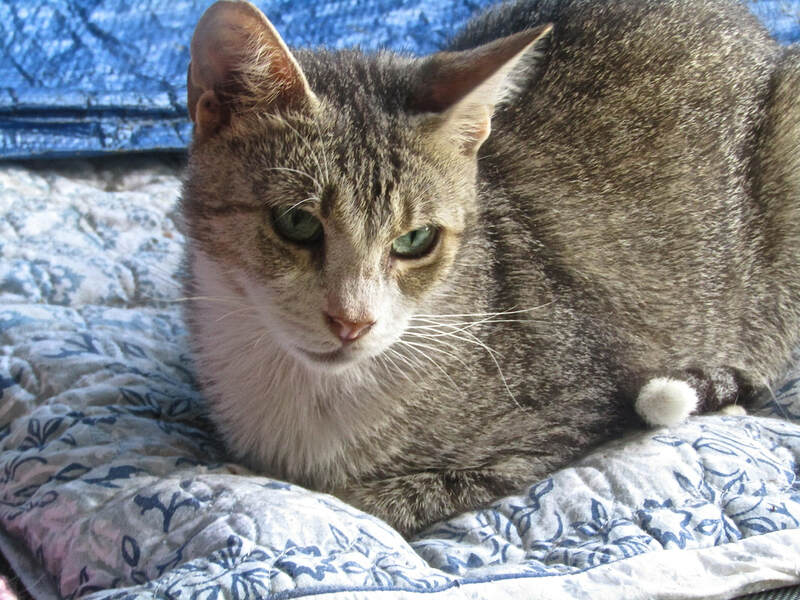 Fifteen years ago it began with one tin of cat food for a stray kitten. The tins increased in number as the cats kept pace. Or was that the other way around? We had a stray cat situation the likes of which we had never seen before. Soon came the embarrassment of lining up dozens of tins at the supermarket. So I searched for alternatives that would cost less in comparison and be more nutritious and that was when I discovered bulk meat at the local independent pet store. Ten kg of raw meat cooked in batches for the week ahead. Nothing had changed from when they did eat it to when they quite suddenly stopped. The dogs however saved the day. They had a weeks worth of cooked dinners. I asked the pet shop if they had altered anything, were there preservatives or something that would cause this? According to them they had stopped using preservatives. Something didn't add up though and I changed to buying human grade beef at the local butchers. And we went raw. 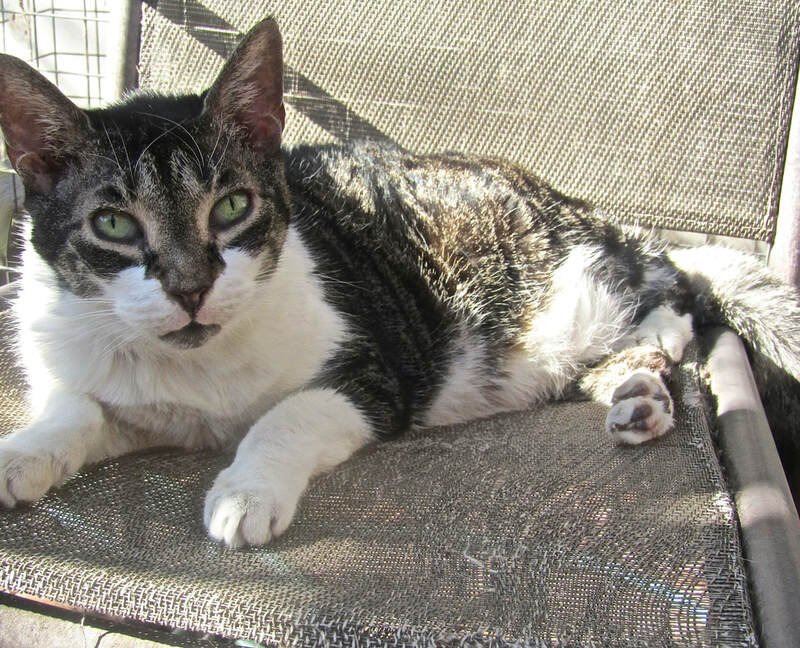 I did lots of research on my favorite subject: diet and health for both humans and cats. Often these were interchangeable believe it or not. When I found a new supplement or food for myself I would research to see if it were good for cats. These things do not always go according to plan though. My discovery of lentils was one. I read with fascination that lentils were high in protein. They were cheap. Cats could eat them. I dutifully sprouted a batch of lentils and mixed it with the meat. Some must have been eaten inadvertently but a lot of little lentils with sprouted tails were left on the plates. Poor lentils! Not dissuaded by this I next decided to cook them. This went down quite well until Miss Marple spewed hers across the back of John's lounge, we shouted at her and at each other and I went for a walk to cool off. Nevertheless my hobby has remained intact! I continue to add things to their meals in a less pioneering fashion due to the the memory of Miss Marple's fall from grace. And one always should tread carefully, try adding to some portions and leaving others without. What will happen then? some cats will gobble it up and others will sniff and walk off. That's cats for you. So I have decided to get back into the sprout thing. Here is an article that might be of interest to those other pioneering souls. Feedback (excuse the pun) is welcome.